The Sapphire Riding Academy Team celebrates their championships at the IHJA Awards Gala. Photo Chicago Equestrian. 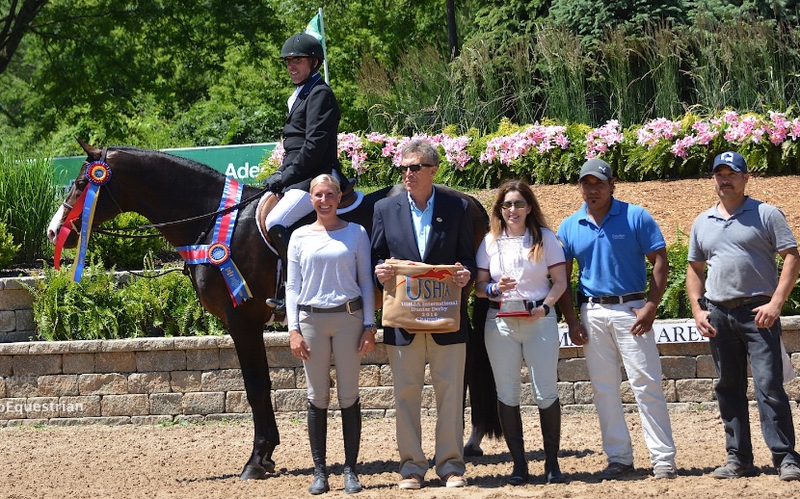 Mettawa, IL - January 9, 2017 – Calido’s Son, owned by Mimi Rothman of Glencoe, Illinois, and ridden by trainer Doug Boyd, earned the coveted USEF National Championship in the 3’6” Performance Hunters for 2016 among numerous other accolades during their first year as a team. 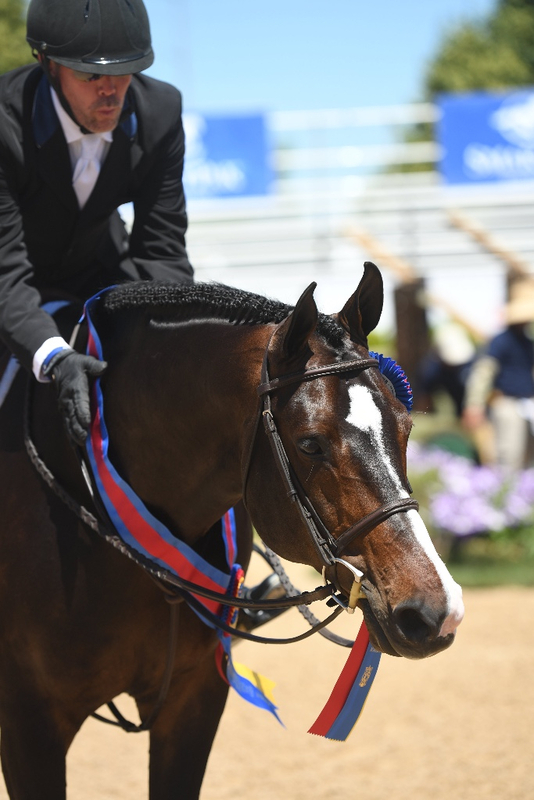 The docile, dark bay, Holsteiner jumped his way through the season with an impressive consistency in the Performance Hunters and USHJA National Hunter Derbies at shows across the country. Boyd contributes his success on Calido’s Son, as well of the rest of his horses, to a consistent program customized for each horse. Once he finds the secret recipe for making each horse perform their best, Boyd sticks to it like clockwork resulting in top results time after time. and the HITS Ocala Grand Circuit Championship. For the 2017 season, Rothman will step into the irons some along with Sapphire Riding Academy’s working student, Sydnie Ziegler, who will get to show the champion in the Small Junior Hunter Division. His large derby stride will be a bonus in the junior hunter ring. 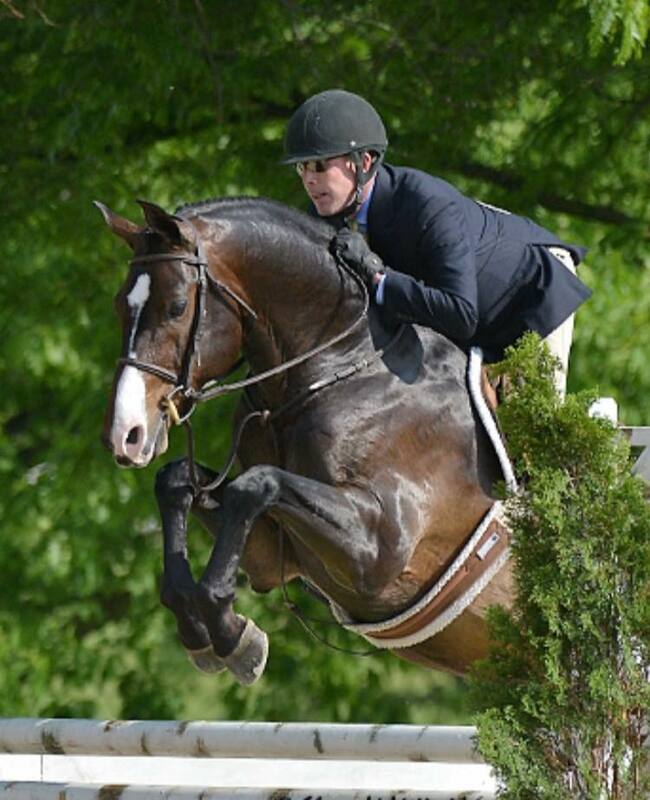 Calido's Son earned the championship in the USHJA National Hunter Derbies with Doug Boyd aboard. Photo Chicago Equestrian. Boyd and the Sapphire Riding Academy group will head to Ocala, Florida to spend some time showing there. Assistant trainer, Ashley March, is recovering from an undiagnosed virus after a holiday trip to Mexico, so they are hoping she is back on her feet soon to run the farm in their absence. Sapphire Riding Academy would like to congratulate all of their riders and owners on a fantastic 2016 show season and look forward to 2017. For more information on Sapphire Riding Academy, visit their website at www.sapphireridingacademy.com. Sapphire Riding Academy is a premier Hunter/Jumper training facility located in Mettawa, Illinois, and offers full service training with an experienced staff and on-site management to oversee all operations. 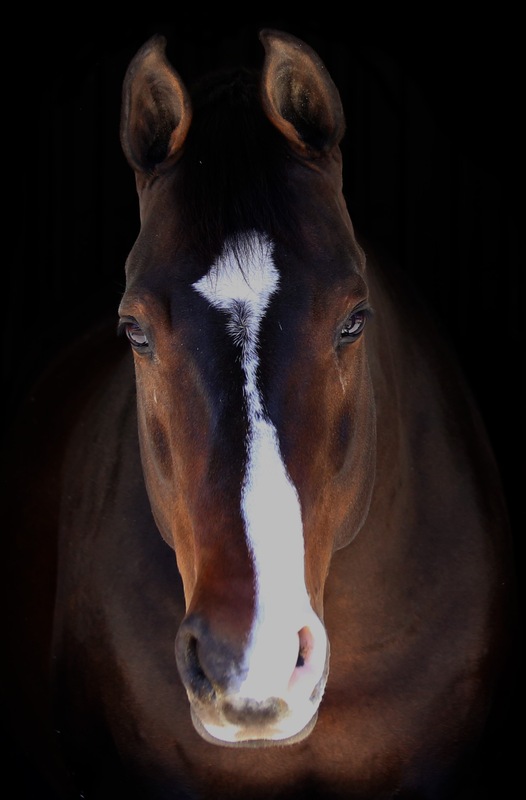 Sapphire Riding Academy can meet the needs of all levels of riders, whether your own a horse or lease one of theirs, you can be assured both you and your horse will be ready to compete successfully. Experienced trainers can take you to any ring; hunters, jumpers and equitation, from short stirrup to medal and maclay to the grand prix ring. Juniors, amateurs and pony riders are all welcome at Sapphire Riding Academy. Conveniently located off Interstate 94, just 45 minutes from downtown Chicago and 25 minutes to O’Hare International Airport!